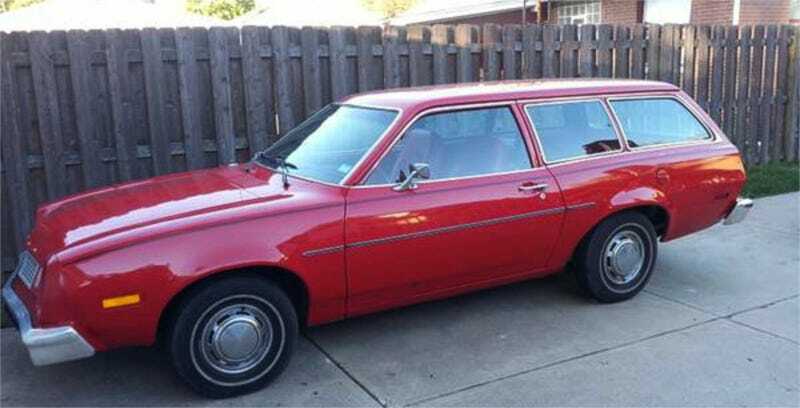 How About This Blast From The Past 1978 Ford Pinto Wagon For $3,950? Time magazine once called Ford’s Pinto one of the worst cars in history. Today’s Nice Price or Crack Pipe wagon doesn’t really look all that bad, but you’ll still have to judge if it comes with the worst price in history. Is there anything more sad than a grizzled old hippie? I mean, they’re rarer than hens teeth as Hippiedom is typically an affectation only celebrated by the youthful, who are too dumb to realize the sense of security that material attainment can provide, or the value in a good hot bath. Regardless, there’s still old people out there wavy gravying it, and yesterday’s dual fuel 1982 Volvo 245 diesel wagon was the perfect ride for those past their sell-by date flower children. Of course it was a little too freaky for the rest of us, but that didn’t stop its I-could-part-it-out-! price from earning it an extremely narrow 50.91% Nice Price win. The heyday of the hippies here in America was the late sixties to early seventies, which also just so happens to have been the the Ford Pinto’s era. Unlike the hippies however, who sought flower power, and peace through questionable hygiene, the Pinto’s purpose was to provide Ford with a slice of the small car sales pie, which at the time was owned by the burgeoning import market. Now, Ford’s Pinto was notable for a number of things. It was Ford’s first U.S.-built mass-production car with a belt-driven OHC engine. The 427 “Cammer” predates the Pinto, but that engine used a chain (seven feet of it!) and never saw significant numbers. The Pinto was also Ford’s first American ride to sport rack and pinion steering. That allowed men across the nation to point at the car and say ‘nice rack… and pinion.’ Thanks Ford! Of course the Pinto is today more famous for a darker story than its list of firsts. That of course is Ford’s decision in the mid-seventies to deal with accidental deaths due to a design flaw in certain Pinto models by settling lawsuits rather than recalling the cars to install a seven dollar (or whatever pittance it cost) part. Eff those bean counters and eff the C-level execs who listened to them. It should be noted that today’s 1978 Pinto wagon never suffered the noted flaw for several reasons. First off, it’s a wagon which had an extended rear end and a repositioned fuel neck reducing the chance of a fuel spill in a rear-end collision. Second, it’s a post-’74 model which has massive bumpers capable of withstanding a lightning-like five-mile per hour impact with only minor damage. The bigger rear bumper further served as cushioning for the fuel tank. It’s also a nice place to sit when you’re tired. Okay, now that we know you’re unlikely to die in this car, or suffer the disparagements of the uninformed, let’s have a closer look and see what it’s all about. The seller says that he bought the car for his wife who, pre-purchase, wanted it and, post-purchase, wanted little to do with it. I’m thinking he’s married to Veruca Salt. The as says the car has 25K on the clock, however the odo having only five main barrels means that could be hundreds of thousands more. It’s probably not though, as the car doesn’t seem to exhibit excessive signs or mileage-related wear, at least in the Craigslist pics. It does have lots of bumper stickers though. Power is provided - as it were - by an 88-horse SOHC 2.3-litre four with a two-barrel carb. Behind that is a Cruise-O-Matic three-speed automatic with T-handle floor shift. One of the things you’ll notice on the inside this car is how low the seats are, the central tunnel and e-brake sitting proud of the vinyl wrapped bottom squabs. The next thing you’ll probably notice is the overall lack of gauges in the instrument binnacle. There’s only a fuel gauge and an 80-mph speedometer. That last gauge is likely the less-needed considering the car’s modest mechanical specification. On the outside, the car is noteworthy for being a mid-run edition which handled the big bumpers a little better than the earlier cars by extending the nose and housing the headlights in deep cosseting scoops. The car also comes from the era when Ford eschewed their traditional blue oval badge for F O R D script across the hood. That era stretched from about 1949 to 1982 and it was a dark period in the company’s history. The engine shot in the ad is fuzzier than Dr. Ben Carson’s foreign policy but it at least looks like everything is complete and it’s a damn-sight better than the London Tube map that was yesterday’s Volvo engine compartment. Pintos are almost extinct these days and finding one in this nice of shape is a rare occurrence indeed. The asking price for this unicorn is $3,950, which is pretty cheap but will buy you a hell of a lot of other stuff. The question is, would that be an attractive price for someone - like this seller’s wife - who just has to have a Pinto? H/T to wotsac for the hookup!